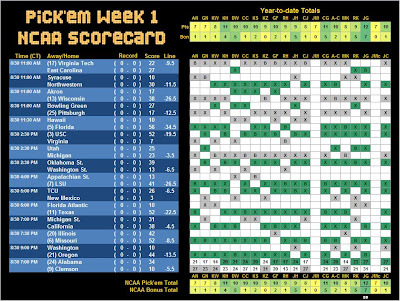 Below are the Week 1 NCAA results. Jimmy brought his "A" game in Week 1 and finished alone in first with 12... the Norris family... not so good. I'll bang out an official results email/blog post in the next day or so.